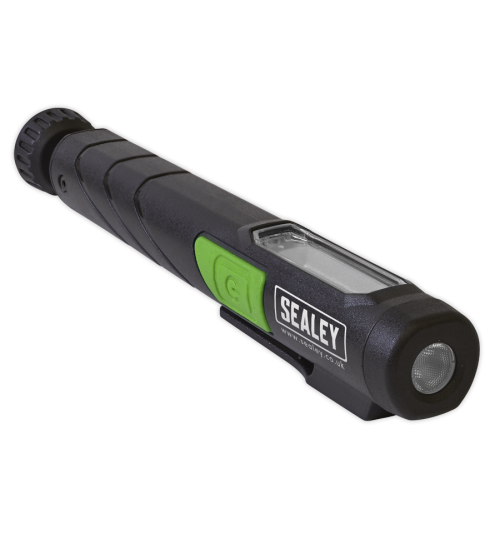 Unique and innovative 360° swivel ball joint function enables the light source to be positioned in any direction. Exclusive patented design owned and registered to Sealey. Each lamp houses 7 super bright SMD LEDs providing up to 200 lumens output, illuminating the whole work area. 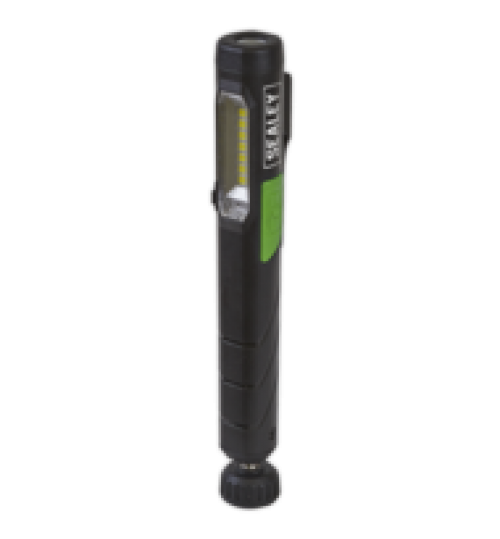 Includes an additional high power 1W LED in the end for use as a directional torch. Micro USB charging port. Features a belt clip with integrated magnet on the back of the light and a strong magnet on the bottom which allow hands free operation. Supplied with a high quality 1.1Ah Lithium-ion battery for longer life, no memory effect and a much slower discharge than traditional Ni-MH batteries and a charging lead.